Key Chiropractic helps patients in Murfreesboro, TN, and surrounding areas find relief from symptoms of fibromyalgia. 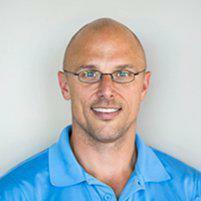 Dr. Ryan Key provides spinal manipulation, physical therapy, and other treatment methods that offer effective relief. Fibromyalgia refers to a disorder that affects the musculoskeletal system. This disorder causes pain in several areas of the body or in larger areas of the body. Although fibromyalgia cannot be cured, there are several ways to manage it in order to relieve symptoms and prevent complications. Fibromyalgia can cause dull, persistent pain that lasts for a few months or more. This pain is typically widespread and covers a large part of the body or more than one area. Other symptoms of this disorder include fatigue, trouble focusing or concentrating, depression, abdominal cramps, and headaches. The exact cause of fibromyalgia is not fully understood, although researchers believe that the body’s pain receptors might be more sensitive than usual. Changes in brain chemicals might also be responsible for pain and other symptoms of this disorder. Certain risk factors can increase the risk of developing fibromyalgia. These factors include genetics, infections, emotional trauma, or physical trauma. Fibromyalgia is managed through self-care measures, such as stress reduction, plenty of sleep, good quality sleep, regular physical activity, and a healthy lifestyle. These self-care measures can help reduce symptoms of fibromyalgia. Other treatments for it include pain relievers and other medications, as well as counseling to help those with this disorder adapt to it. Chiropractic care offers a safe, effective way to manage the symptoms of fibromyalgia. This type of care, which includes spinal manipulation, focuses on correcting misalignments in the spine to ease pressure and promote flexibility. Other types of treatment methods that go along with chiropractic care, such as physical therapy, are designed to offer ongoing relief from pain and other fibromyalgia symptoms. These treatment methods help increase range of motion in those who experience pain and stiffness from this disorder.